First of all a big thank you for visiting my site and letting me share my passion for yoga wth you. I began my yoga journey 10 years ago as a student and quickly become hooked on the physical and mental benefits. I loved seeing how my practice manifested itself in my outer world . 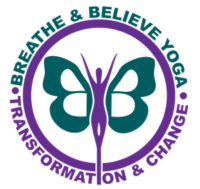 I qualified as a hatha yoga instructor while working in the fitness industry , which lead to me teaching my own classes in Inverclyde. Through the deepening of my own practice and seeing the progress in my students I decided to try out other styles of yoga. I dabbled in Ashtanga , Vinyasa and various different classes and teachers. Until I found Forrest Yoga , I started doing a 5 day intensive Forrest inspired course with Jambo Truong and instinctively knew this is what I was meant to teach, I felt connected in every part of my being, I loved how Forrest yoga combined strength , breath, integrity and spirit together . One year later I travelled to Bali for a month to do my full 200 hr Forrest teacher training. Since then I’ve travelled to Vienna to do a mentorship program with Forrest yoga with Jambo Truong and Brian Campbell . I’ve held a variety of different workshops and uk retreats , I’ve been a guess speaker in San Francisco for See Me , speaking out about mental health. I am so excited to see where the Forrest journey is going to take me in the future and I hope you will join me along the way. I am also qualified in kids yoga , as a fitness instructor and am a Reiki Master .